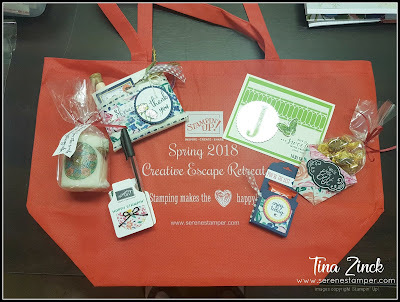 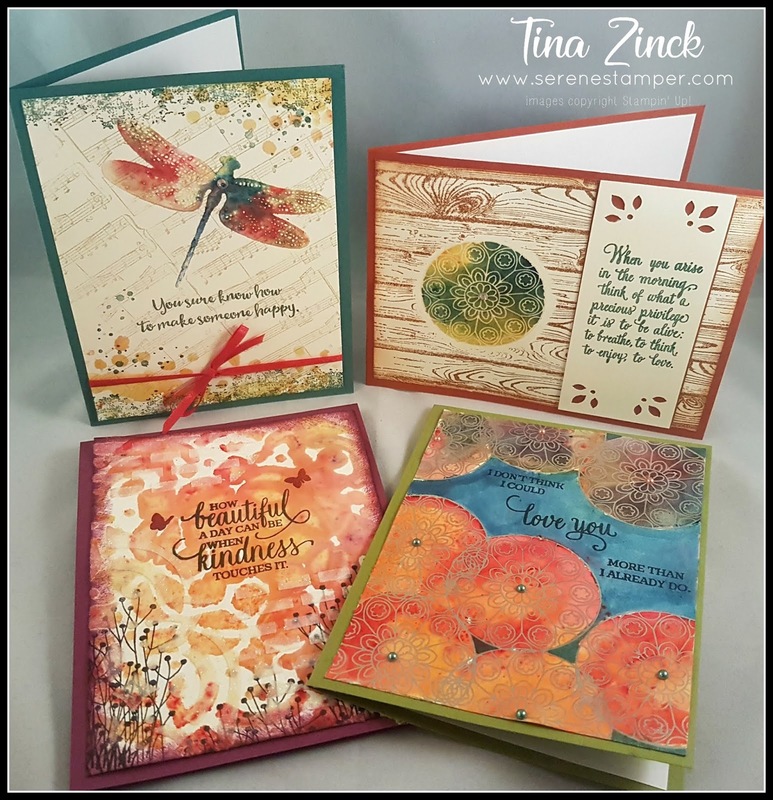 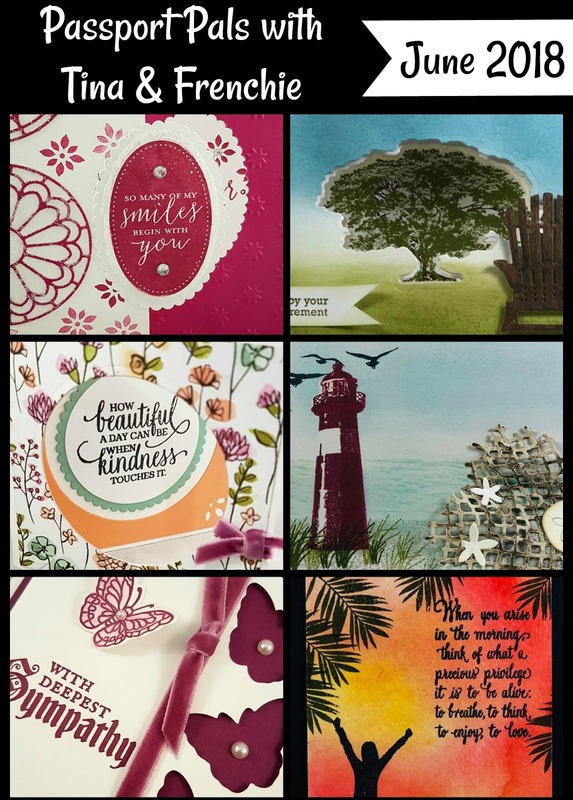 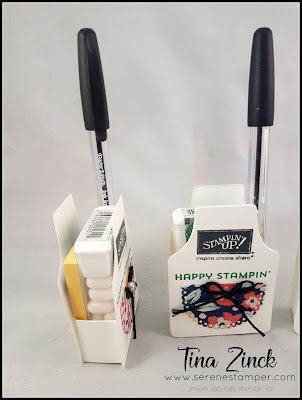 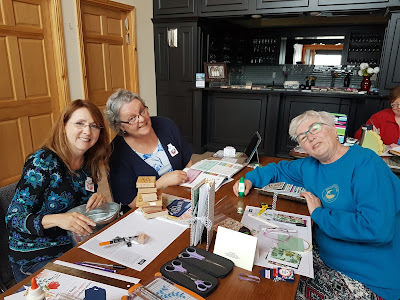 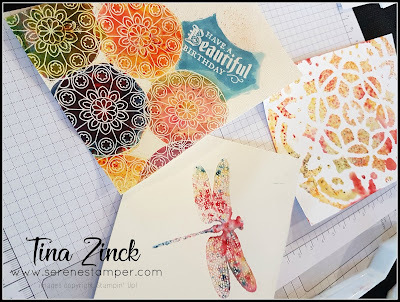 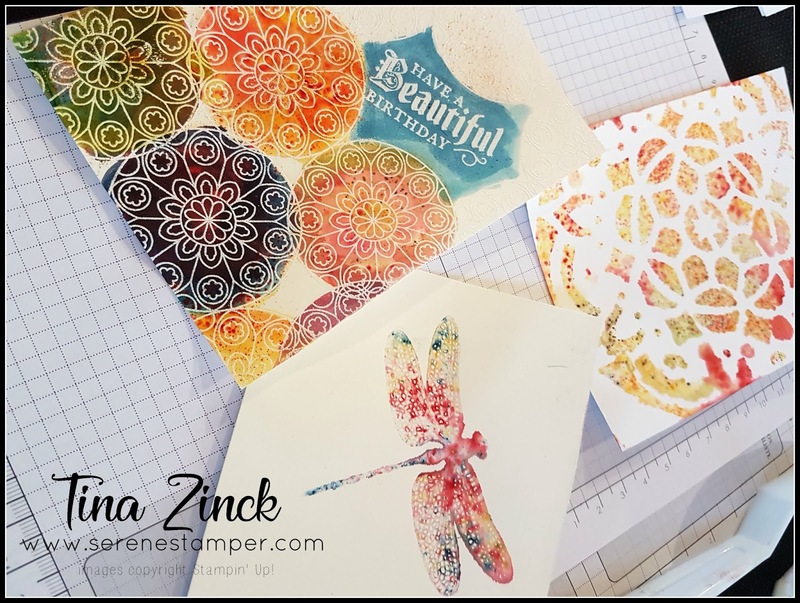 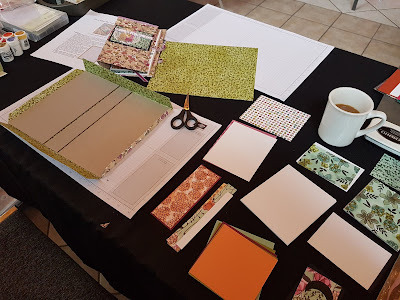 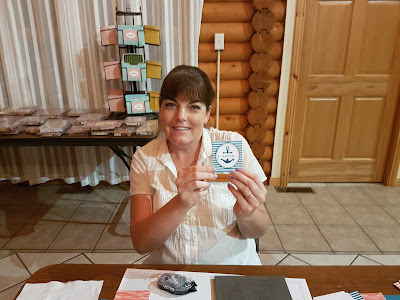 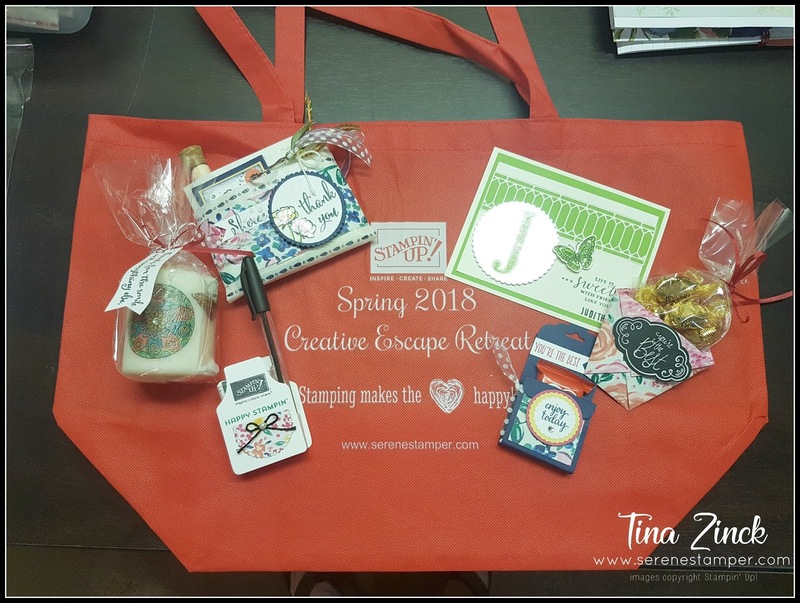 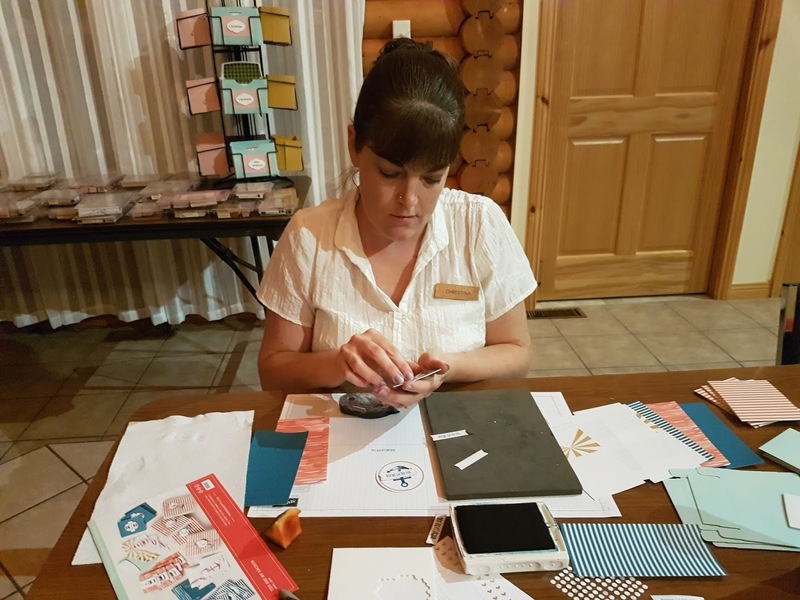 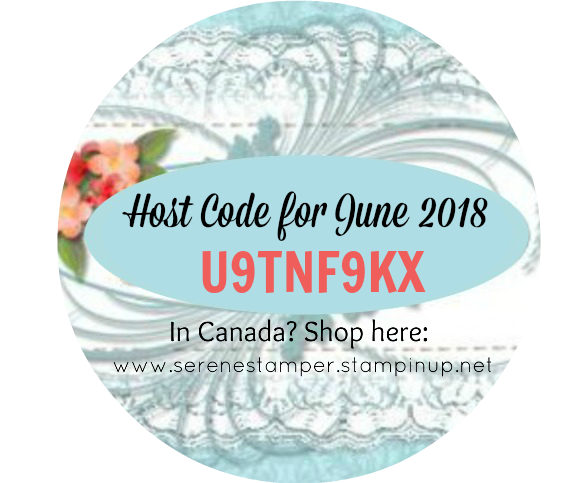 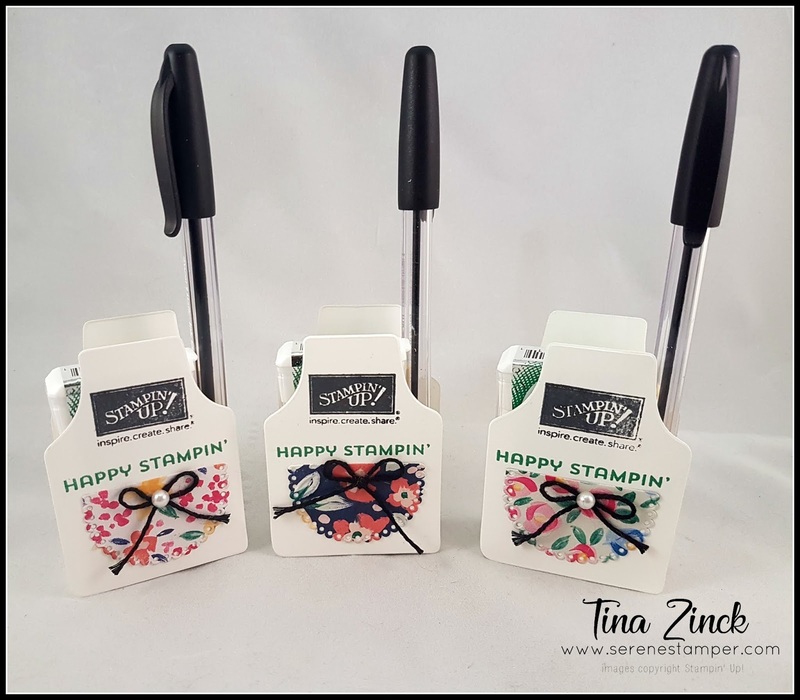 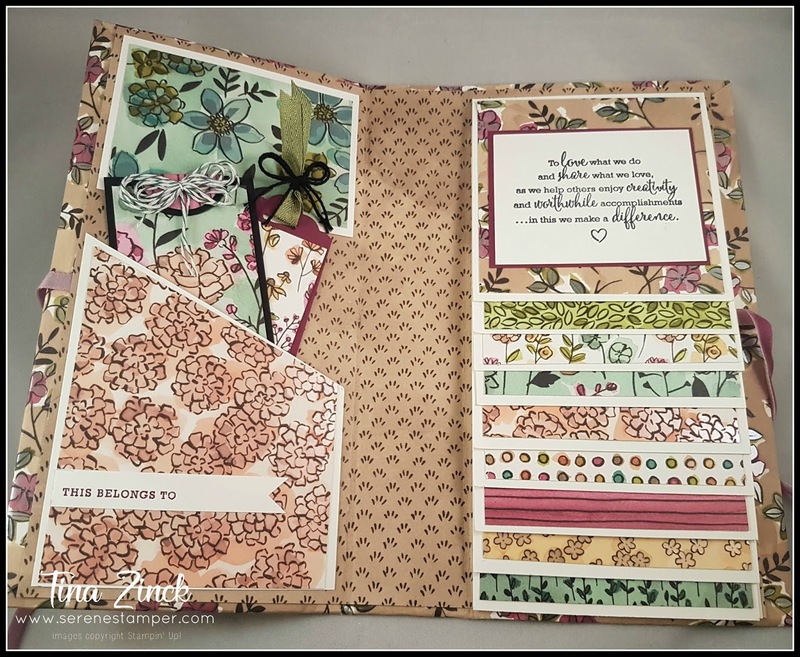 The Serene Stamper: Serene Stampers and Crafters Creative Escape Retreat! 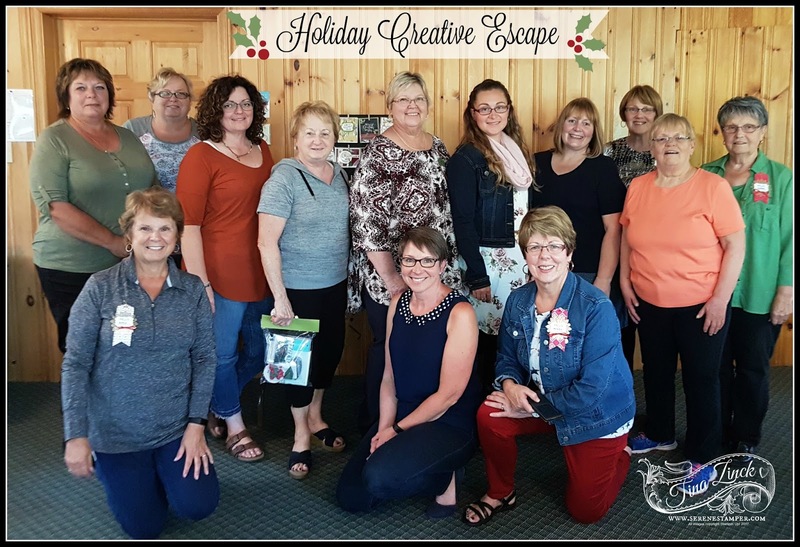 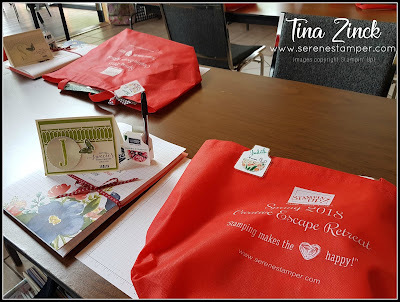 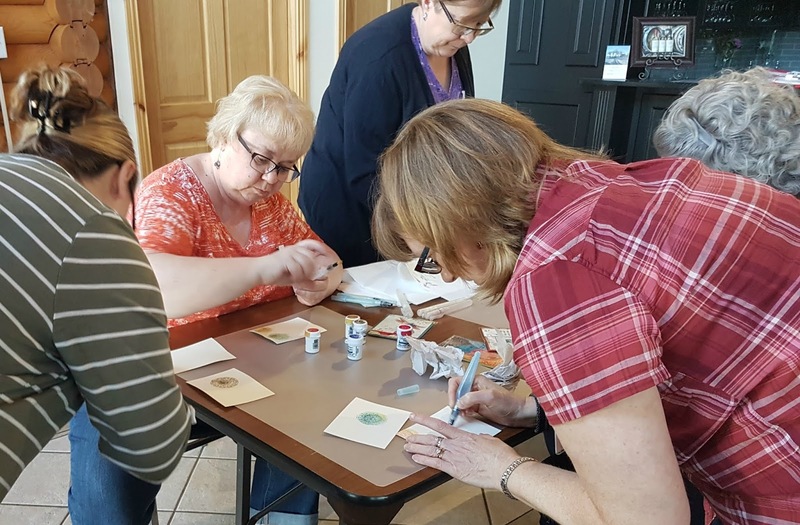 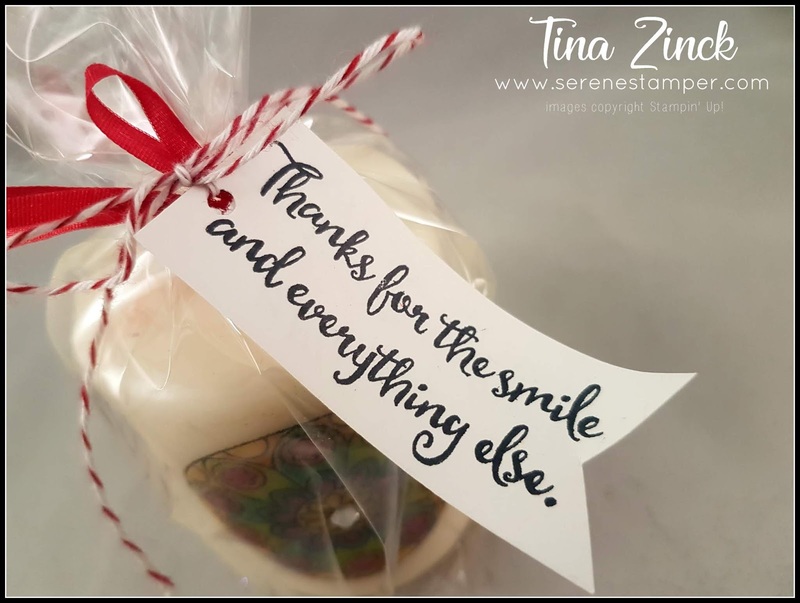 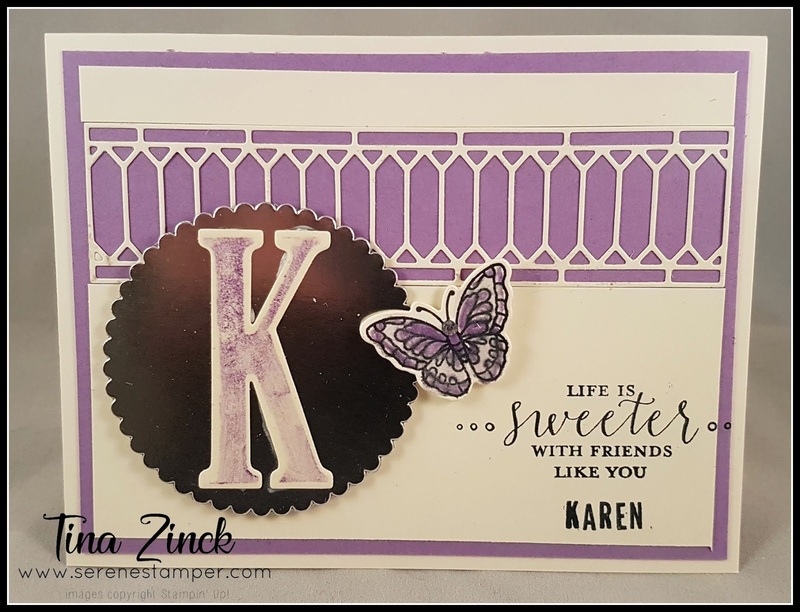 Serene Stampers and Crafters Creative Escape Retreat! 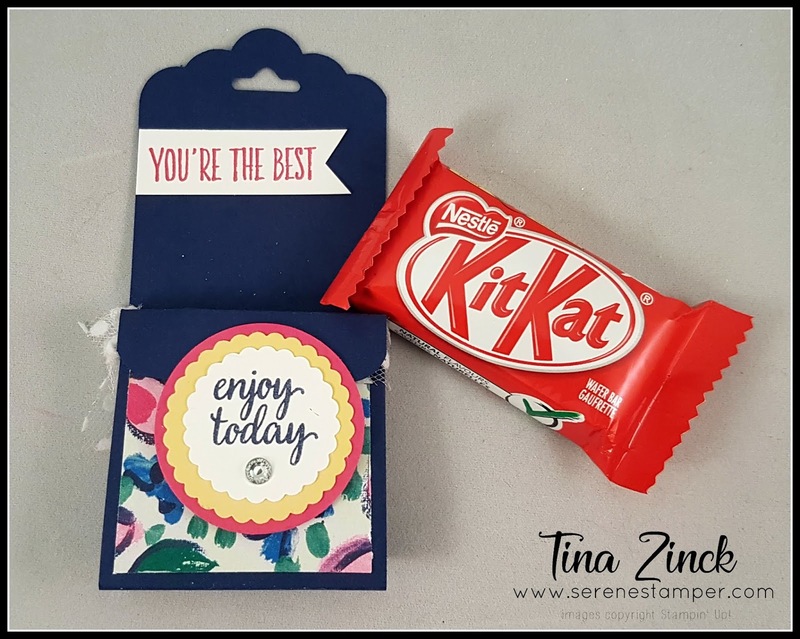 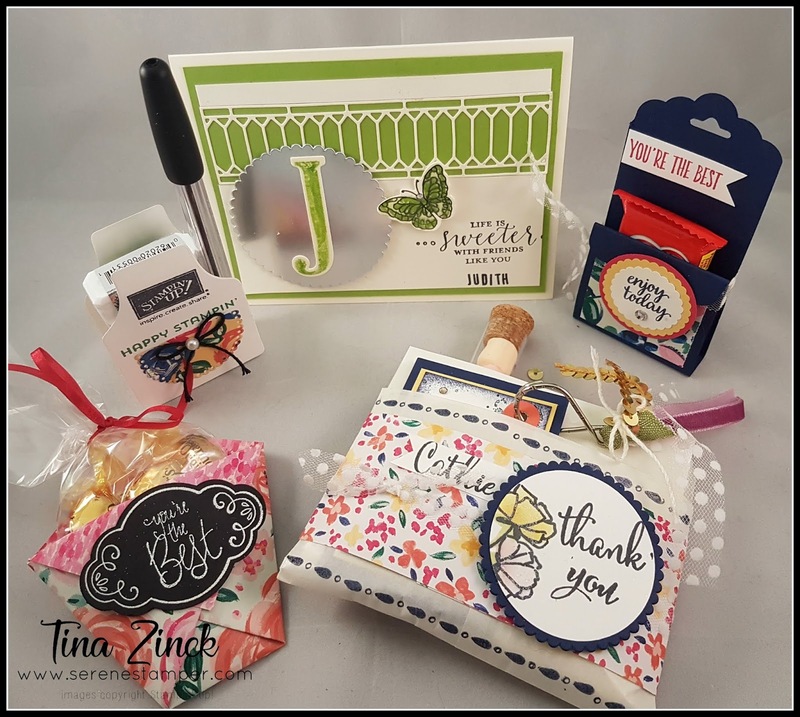 For the place-setting cards I used the new Painted Glass Bundle, Make a Difference stamp set, and Detailed with Love stamp set, and some new colours too! Initials for each card were made with the Letters for You stamp set and coordinating Large Letters Framelits Dies. 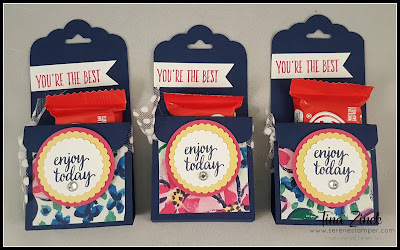 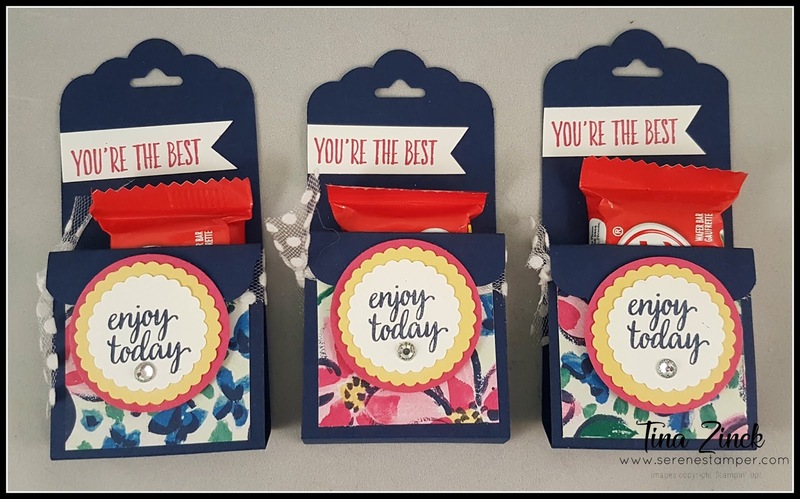 For these treat containers, I used Garden Impressions Designer Series Paper, Eastern Beauty and All Things Thanks stamp sets, and punches. 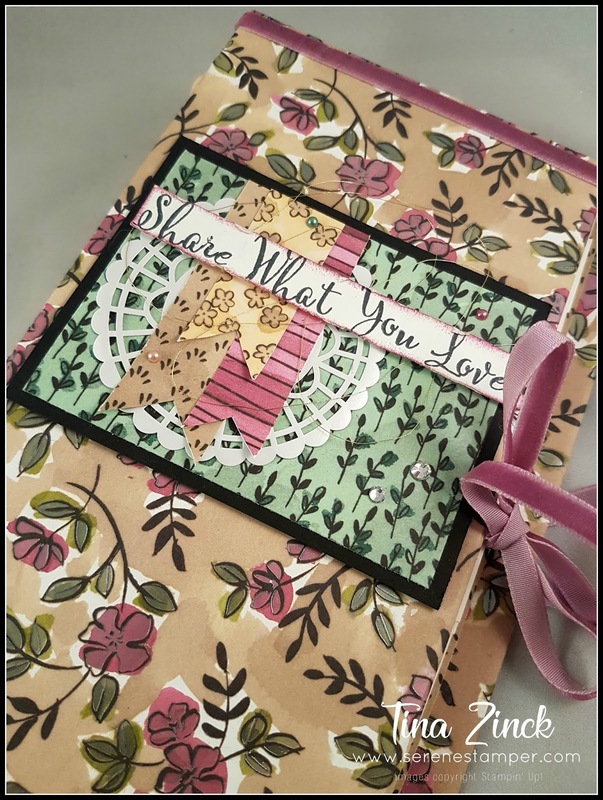 I forgot to take photos of the Garden Impressions packet with the Werther's Butterscotch Candies and the envelope pouch with hot chocolate, marshmallows, tea, Stampin' Dimensionals and key chain. 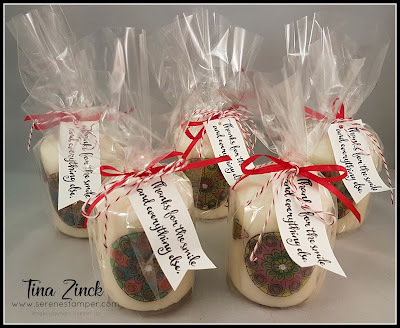 I'll take photos of mine once I've unpacked everything later on to show you - these were super sweet gifts to make! 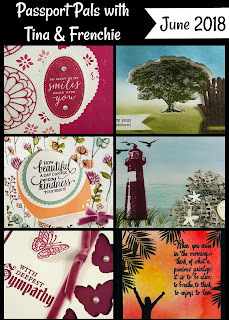 Candles that I created using the Painted Glass and Enjoy Life stamp sets. 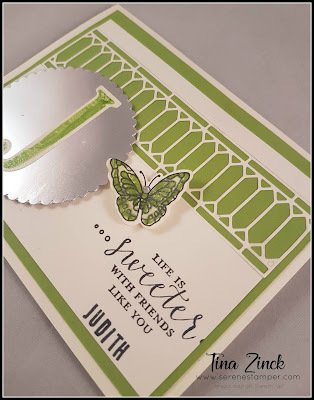 The sentiment on the tags is from Dragonfly Dreams. 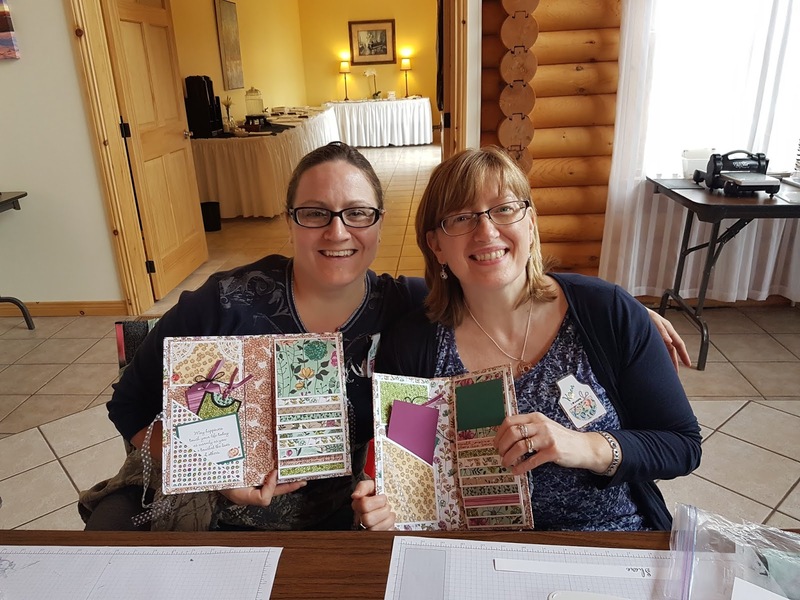 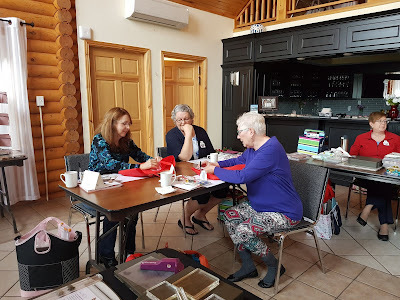 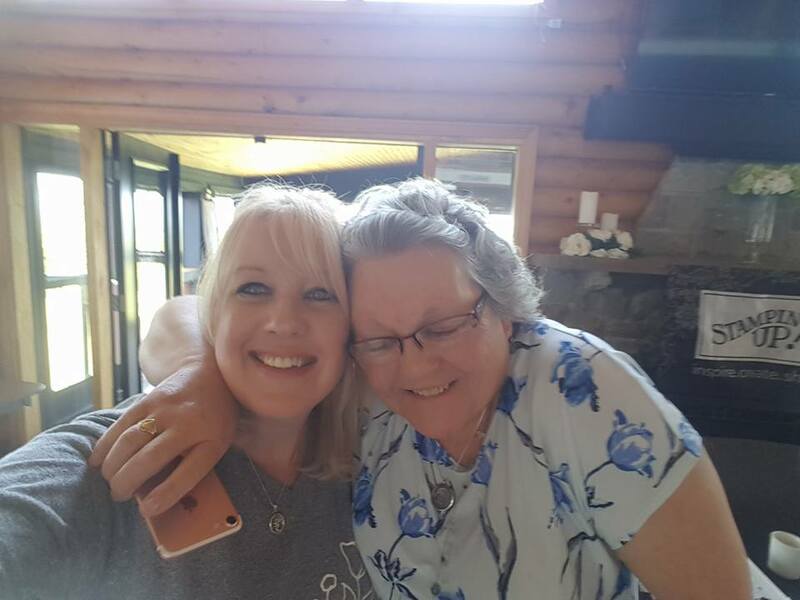 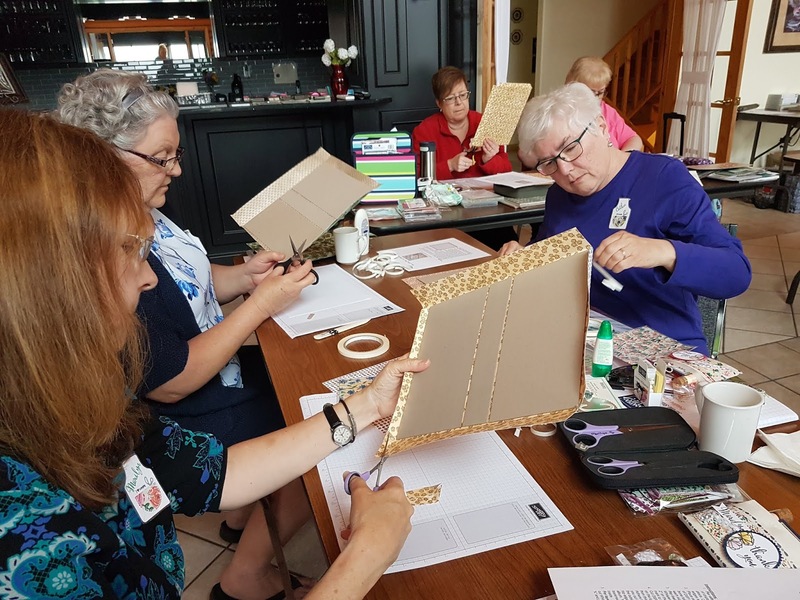 Saturday morning's class "Share What You Love Waterfall Album"
Newly formed friendships are one of the best things about retreats! ....she loved making her cards! The grounds and the views at Smith Rock Chalets are spectacular! 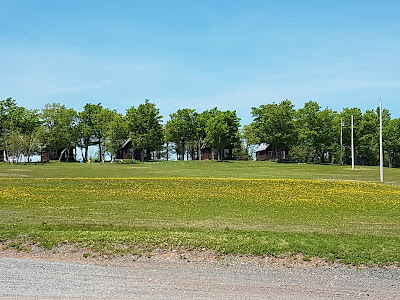 The chalets, tucked in the trees. 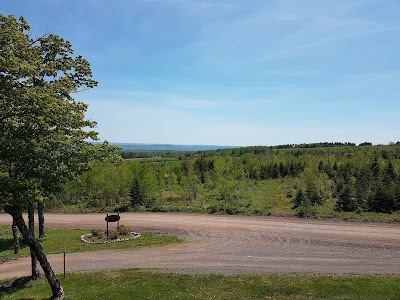 The view from the Rock Maple Retreat, which is where we all stayed. This lodge has twelve rooms that are comfy, cozy, clean and very charming! 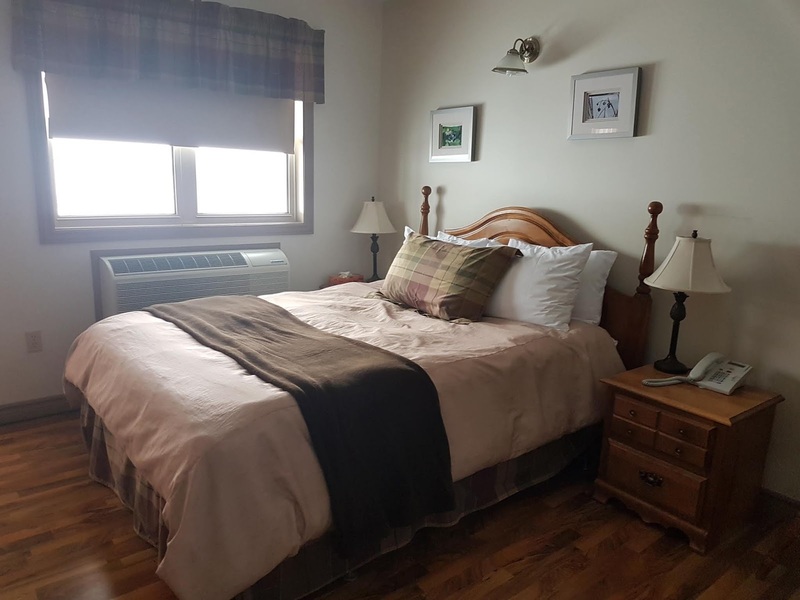 There is everything you need in these rooms, including wine glasses and a corkscrew. 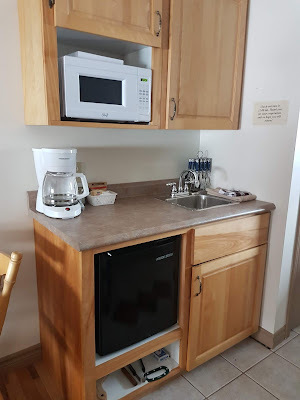 The massive jet tub in the bathroom will be on my agenda next visit for sure! 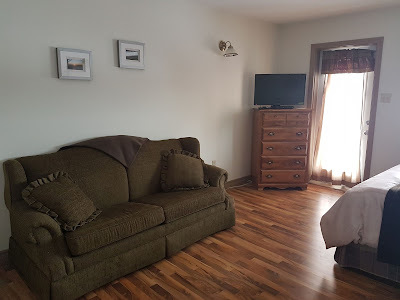 Pull out sofa beds are in every room as well. 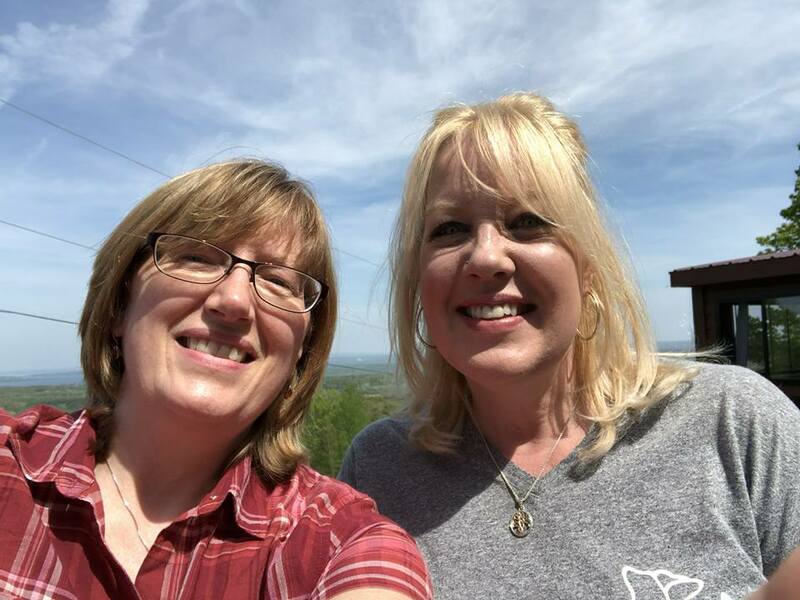 We had a lovely balcony and there are fire pits and BBQ's outside to enjoy too! 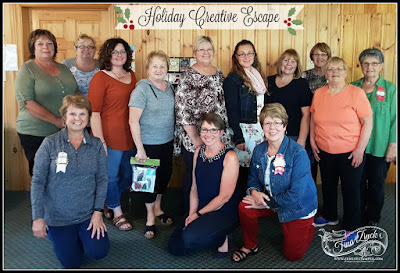 Oh my goodness - we really had soooo much fun! 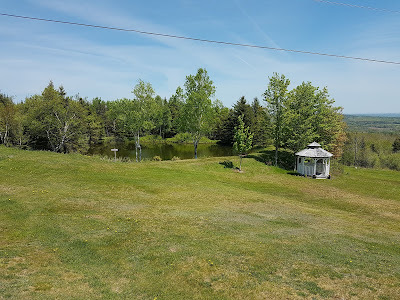 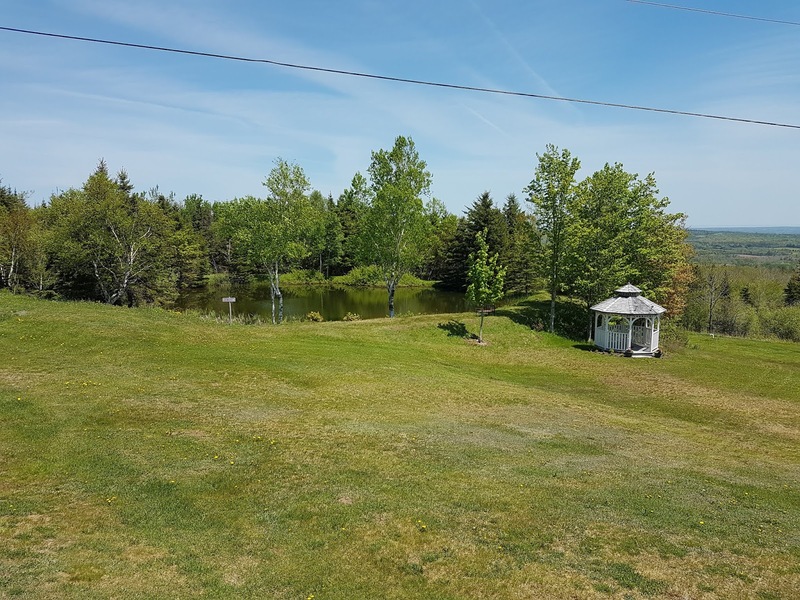 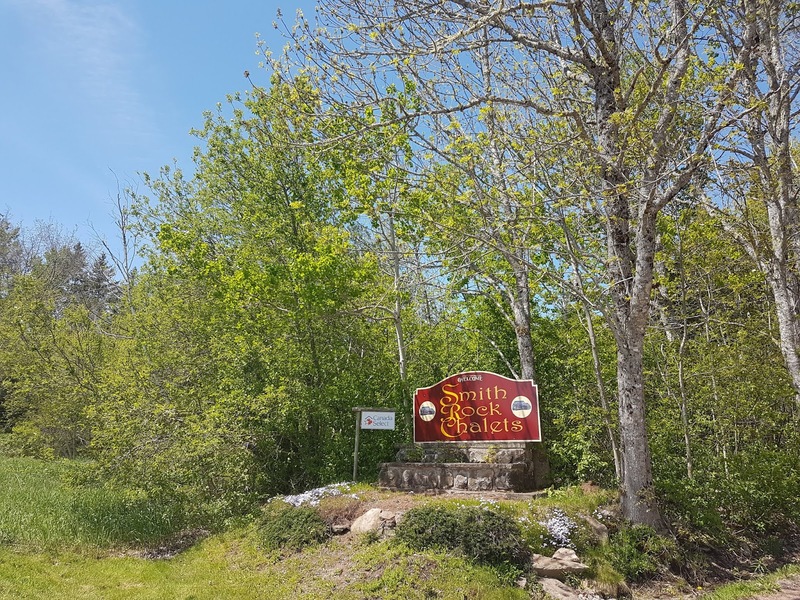 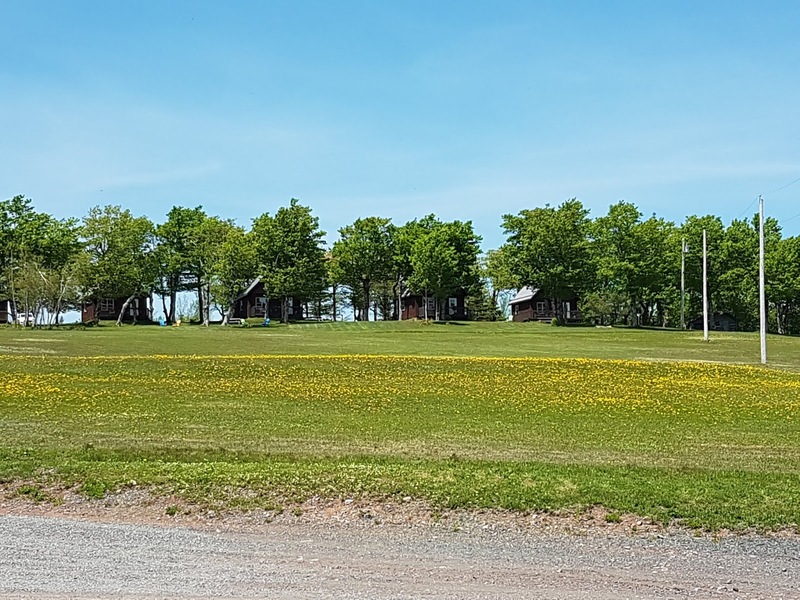 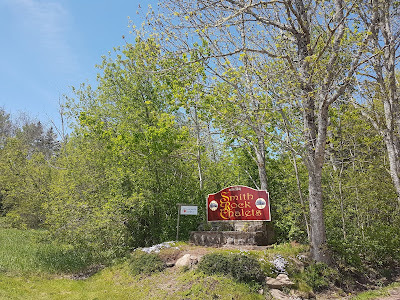 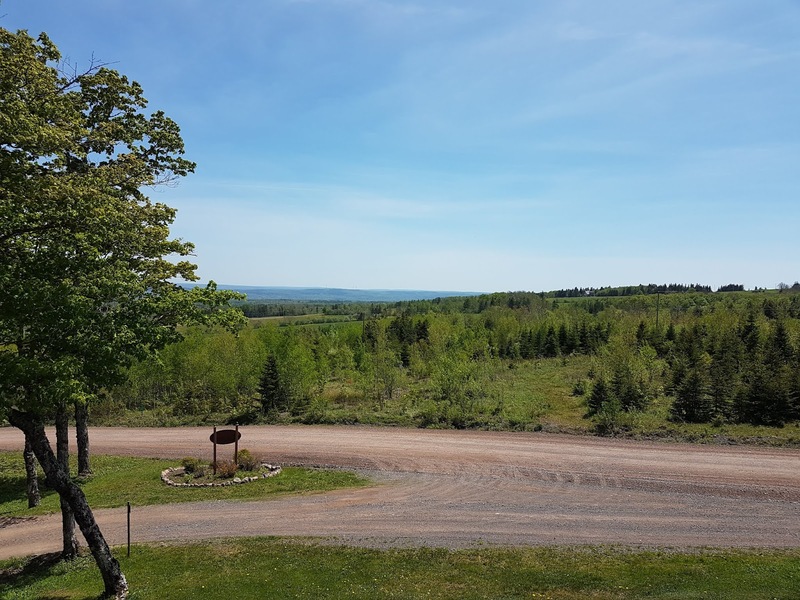 Next year's retreat is scheduled for June 7-9, 2019 (Scotsburn, NS) and reservations will be first come, first served, as space is limited. If you'd like to join us or want more information just pop me an email at serenestamper@gmail.com.